This week’s show is another announcement, following on from our announcement at becoming a Google Specialist Partner. 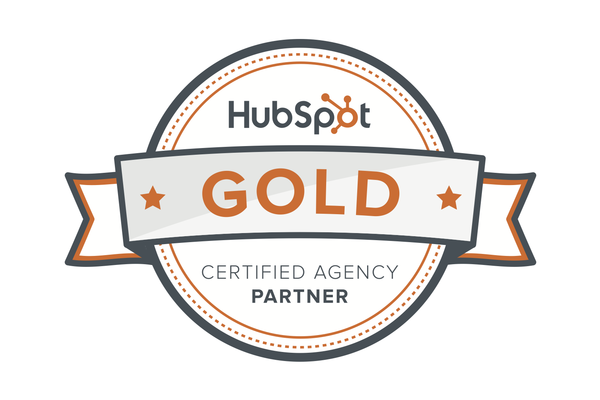 I wanted to tell you this week, that JDR Group have now become a HubSpot Gold Partner. This is another accreditation that we’ve achieved, that I wanted just to share a little bit about with you, because HubSpot is a software programme that many of you will have come across. You may have read their blogs or their articles or seen them on Facebook. You may have looked at their software. We’ve been working with HubSpot software since 2012 and it has been a big part of what we’ve been doing in terms of our own marketing. It has now become a big part of what we’re doing with our clients. We, at JDR Group, work with marketing software of all different types. We’ve worked with literally hundreds of different software programmes for email marketing, CRM systems, SEO, for website analytics, website reviews. We’ve used all different types of software programmes. Now, the reason we like HubSpot is it does the job of several different marketing software products but in one place. HubSpot is designed around inbound marketing and it allows primarily small and medium-sized businesses to be able to manage their social media channels, to be able to publish and promote blog articles, to generate leads, to track those leads, to have it as a CRM system, so that you can follow contacts all the way through from initially becoming subscribers or contacts on your database, all the way through to being paying customers and track all of your interactions with them. That allows you to run what’s called “automated lead nurturing”. It has a website content management system, so you can manage your website from there. It has a full analytics programme, so it allows you to be able to track or measure every element of your online marketing. It really is an all-in-one online marketing solution for small and medium-sized businesses. So we’ve been working with this software for some time and we became a partner in 2013. What Being A HubSpot Partner Means? Being a HubSpot partner effectively means that if you want to use the HubSpot software, you can come to the JDR Group and we can supply it for you. Not only do we supply it. We install it. We set it up. We show you how to use it and we get it integrated and working into your business. HubSpot Partners typically provide online marketing services that utilise or use HubSpot’s tools. There are several hundred HubSpot partners here in the UK. But very few of them have achieved Gold Partner status. So how does this help? Improve the way that you communicate with and nurture your existing customers, then you need three things. You need to have a clear strategy and then you need to have resources in terms of a team that have the skills, the know-how, and the time to be able to fulfil those strategies. Finally, you need the right tool, the right software programme or programmes to be able to run these marketing campaigns. Now, HubSpot provides you with a tool. The advantage of working with a partner is that you also get the strategy, the know-how, the skills, the time, the resources to make it work for you. After all, a tool is only as good as the people that are using it. The fact that we are now a Gold Partner shows that we have worked with HubSpot to a high standard and to – with a number of different clients across different industries, different businesses, which means we’ve seen the challenges people have when trying to utilise the software and trying to grow their businesses. We know how to overcome those problems. So it’s a short episode this week. I just wanted to announce and let you know because you will be talking to other marketing agencies that work with HubSpot. You will see HubSpot coming up on blogs, forums and articles. They’re continuing to grow at a rapid pace. But once again, having a partner that can help you to implement it all and to get the most out of it by implementing the right strategy is very, very, very important. If you would like to know more about HubSpot or you would like to have one of our team give you a guided demonstration of the software so you can see what it actually does, you can go to our website www.jdrgroup.co.uk. Go to the HubSpot page and you can request a demo. One of our team members will give you a guided tour of the software and show you what it does, how it does it and how it could be used for you and your business. So that’s it. I hope you’ve enjoyed the show. I will be back next week with another one of your marketing questions answered and I look forward to speaking to you then.